Today, technology company AMD announced the expansion of their embedded product family of computer processors with the AMD Ryzen™ Embedded R1000 SoC — the new high-performance Accelerated Processing Unit (APU) that’s powering the Atari VCS entertainment platform! The Atari VCS is a completely modern connected gaming and media device (not a “retro-box” or emulator) that features a unique Linux-based operating system capable of playing popular new video game releases and streaming entertainment. As an homage to its roots, the Atari Vault® — a collection of more than 100 all-time classic arcade and home favorites like Asteroids®, Centipede®, Breakout®, Missile Command®, and Yars’ Revenge® — is included with every new Atari VCS. 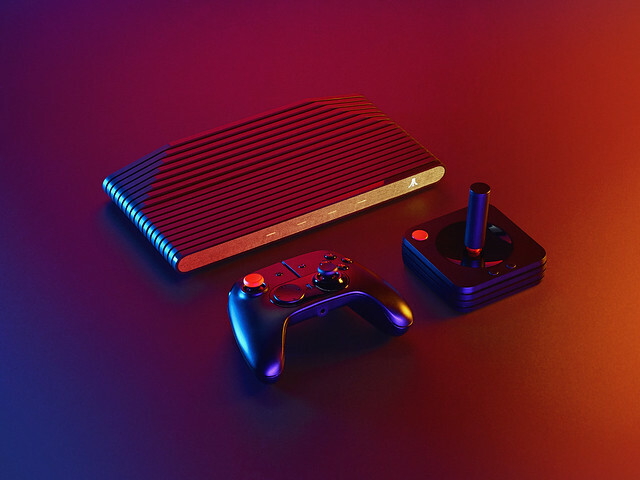 Fans will be able to access and download additional games and content through a connected Atari VCS storefront.